Revisiting Jean Cocteau’s Orphée recently I was again struck by the simplicity and beauty of the film’s effects, and how basic tricks like reversing the image to show a man rising rather than falling, or a pair of gloves slipping seamlessly onto hands, possess a timeless magical quality. 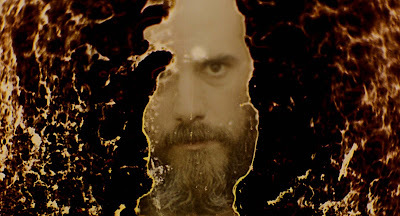 I was reminded of this as I watched Rey, in which we are introduced to the protagonist Orélie-Antoine de Tounens (Rodrigo Lisboa) as he crouches above a creek, the water seeming to flow from the river below up into his hands. 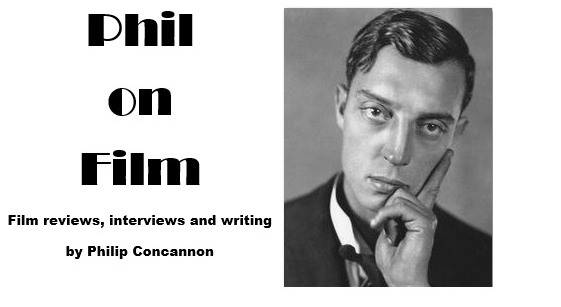 It’s a perfect introduction to a man who believed he was driven by some divine right to rule the land he walked on, and to a film that finds imaginative ways to let us share his perspective. A French lawyer-turned-explorer, de Tounens declared himself King of Araucanía and Patagonia – a region long under dispute between Chile and Argentina – in 1860. He claimed he had been elected by the native Mapuche tribe but when he was captured by the Chilean authorities, he was quickly declared insane after a brief trial and sent back to France with a warning that he would be executed if he ever set foot on his self-proclaimed kingdom again. As a tale of a man losing his mind in the dense jungle, Rey will inevitably draw comparisons with the work of Werner Herzog, but the more surprising associations I made as I watched this hallucinatory and haunting film were filmmakers like Guy Maddin or Peter Greenaway. There’s also a hint of Don Quixote in de Tounens as he marches through this unchartered territory on his donkey with his guide Rosales (Claudio Riveros), being led in circles by a man who doesn’t know the way, doesn’t speak the languages he claims to, and doesn’t trust this oddball Frenchman. When de Tounens is captured and interrogated, both his and his captors adopt papier-mâché masks, giving these scenes a strangely theatrical quality – almost reminiscent of Commedia dell'Arte – and as our protagonist grows sickly and weak, the decay shows on his mask. In fact, decay is one of the film’s central motifs. Even the film itself seems to be rotting from within. Rey was written and directed by Niles Atallah, who shot footage on 16mm and then buried the film in his garden to age it. 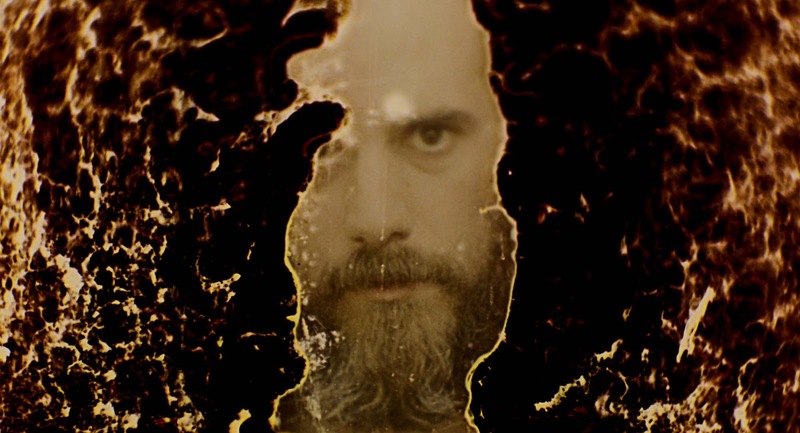 The image is frequently scarred by scratches and mould, with some of the blemishes clearly being more deliberate than others (scratches on de Tounens' eyes and mouth are a brilliant way of simulating his madness), and the insertion of flickering archive footage adds another layer to the film’s disorienting collage. As you might expect with a film that is so eclectic in its form and its focus, not everything in Rey clicks. The film’s ultimate purpose remains shrouded in mystery. A closing text dedicates the film to the indigenous tribes of Latin America such as the Mapuche, the Tehuelche and the Yagán people, but aside from a couple of brief scenes (including a cherishable encounter with a man and woman who offer de Tounens and Rosales help on the road), they don’t really register as a presence in the film. Atallah is much more preoccupied with his man who would be king – with depicting his encroaching madness as he is defeated by the territory he felt entitled to – and even if it doesn’t fully coalesce in the end, the journey is perhaps more valuable than the destination.